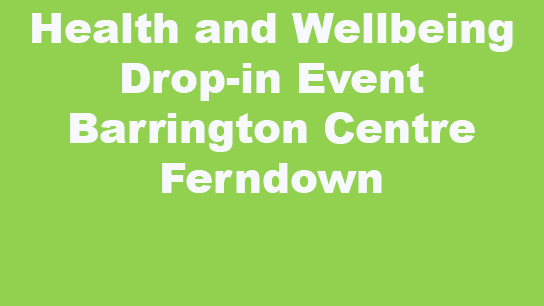 Health & Wellbeing Drop-in Event at the Barrington Theatre Ferndown. We will have a stand with information about the community projects we support and befriending groups we run in the local area. Please do drop by and see us. There are many other fantastic organisations to come and chat with as well. 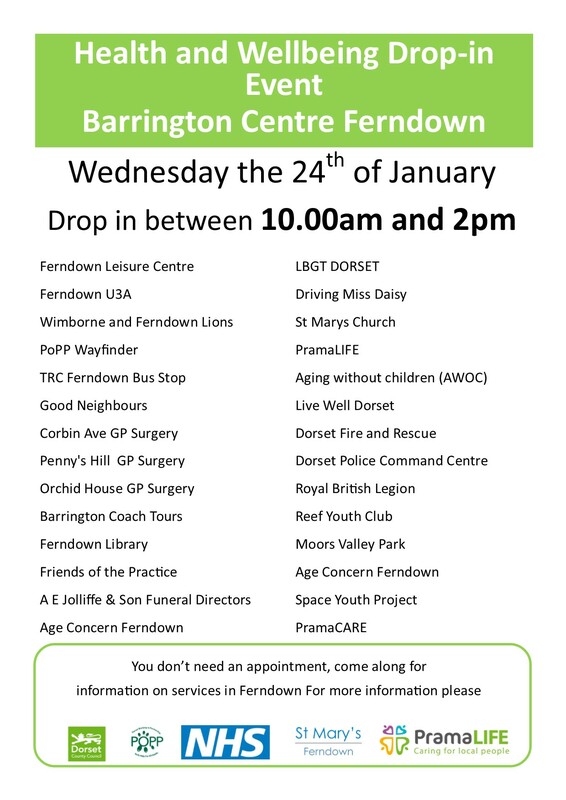 Supported & run by Dorset County Council Prama, POPP, NHS and St Mary’s Ferndown.